Updating all housing links on island pages as well as some building links. Atlantean items come in aqua, atlantean, black, blue, navy, white. There's no such thing as an atlantean/lime-colored item. So, the color tables are misleading. It's not just 19 colors paired with any other 19 colors. For single-color atlantis items like the Atlantean helmet, there are only the 6 colors above. For dual-color items, there are only 36 combinations that involve atlantean. 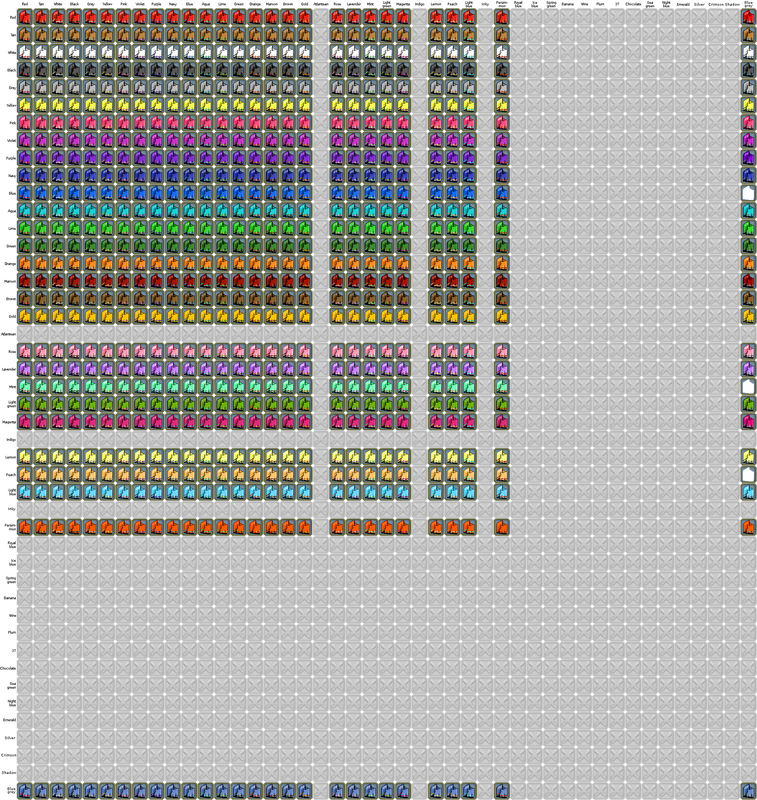 Plus, there are the normal 18x18 combinations for an additional 324 combinations. 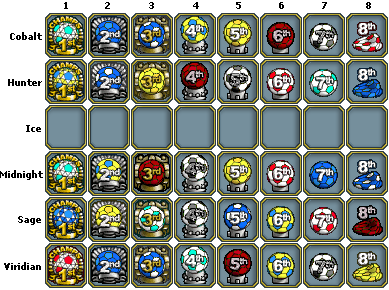 Thus, for an item that can be found both inside and outside Atlantis, there are 360 combinations. I can't think of any dual-color items that are specific to Atlantis, but they'd be limited to 36 color combinations. Santa hat (red) delivered December 22 @ 3:21pm. Good on December 25th @ 2:56pm. Old on December 29th @ 2:21am. Dust on January 1st @ 2:14am. Diving helmet (female) delivered December 22 @ 4:17pm. Good on January 12th @ 1:32am. New clothing items delivered June 24 @ 2:23am. Finish converting buildings to new paint/prop layouts. Continue cataloging props in ships and buildings. Paintbrush 1 delivered on March 21 @ 12:11am. Good on March 22 @ 10:20am. Old on March 25 @ 12:01am. Dust on March 27 @ 1:28am. Paintbrush 2 delivered on March 21 @ 11:10am. Good on March 23 @ 12:27am. Old on March 26 @ 12:31am. Dust on March 28 @ 7:00am. Paintbrush 3 delivered on March 21 @ 2:13pm. Paintbrush 4 delivered on March 21 @ 9:10pm. Paintbrush 5 delivered on March 21 @ 11:12pm. Paintbrush 6 delivered on April 8 @ 12:10am. Old on April 12 @ 6:55am. Dust on April 14 @ 2:48am. Paintbrush 7 delivered on April 8 @ 1:10am. Paintbrush 8 delivered on April 8 @ 2:15am. Paintbrush 9 delivered on April 8 @ 3:11am. This page was last modified on 2 January 2012, at 00:23.